On this Audi B7 A4 sedan, I blacked out the chrome window trimming around the windows on both sides of the car in my matte black vinyl material. We went with matte black to give it some contrast to the gloss black paint of the car. 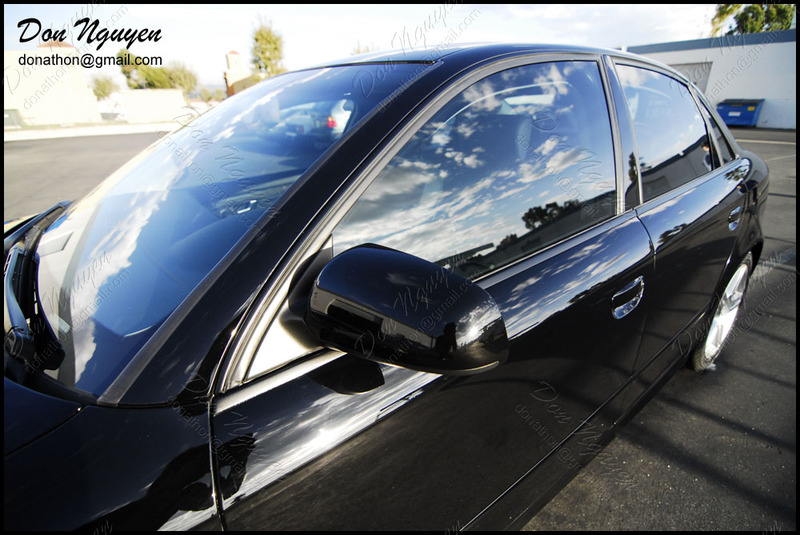 With no other chrome pieces on the car, blacking out the chrome window trim was one of the last steps to completely getting rid of all of the chrome on the car. The owner of this car was local in Newport Beach area and came out to me in Orange County to have the vinyl work done for his car.